These charming gift books feature an array of inspirational quotes and Bible verses for every day of the year, complimented with simple design work and pictures. Packed with meaningful, challenging and encouraging words. 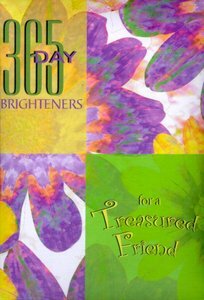 About "For a Treasured Friend (365 Day Brighteners Series)"